Resident Evil 5 has now surpassed Street Fighter 2 as Capcom's best-selling game ever. Cuts and restructuring at Japanese games giant Capcom have painted a somber picture over the last few months. An unspecified number of layoffs this summer at the Capcom US offices included Capcom Senior Vice President Christian Svensson. Earlier this month, Capcom Europe announced it was cutting more than half of its employees as part of the ongoing restructuring. Today, Capcom is looking a little brighter due to a 16.9% increase in net sales over the six-month period ending September 30, 2013. Financial results released today report sales of 53 billion yen, and net income up 20% to 4.9 billion yen. Capcom reports that, "Sales and income for this 6 months period broke the record at all levels for the first half [of the fiscal year]." 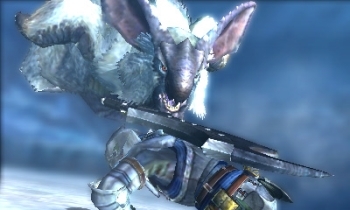 Capcom credits Monster Hunter 4 for the financial success. The latest installment in the Monster Hunter series has sold 3 million units as of October 15, 2013. Released in Japan on September 14, the Nintendo 3DS title adds three dimensional landscapes and mid-air attacks to the gameplay. Other recent Capcom titles Resident Evil Revelations and Phoenix Wright: Ace Attorney - Dual Destinities achieved projected sales. Capcom's recently updated investor relations data shows that Resident Evil 5 is now Capcom's best-selling game ever with 6,500 thousand units sold since release in 2009. This overtakes 1992 title Street Fighter 2, which reports 6,300 thousand units sold (but does not include all various versions of Street Fighter 2 released by Capcom). Capcom lists 61 titles with over one million units sold. There is still no news about whether Monster Hunter 4 will come to North America or Europe, though Capcom stated on the Monster Hunter Facebook page that they are continuing to evaluate new Monster Hunter titles for the West.